In January 1945, Raymond C. Vick made the front page of The Indianapolis Star when he became the first person in Indiana to obtain a low-interest loan through the GI Bill of Rights. The WW II veteran planned to use the loan to buy the eight-room house in Irvington where he lived with his mother and sister. At the time, the smiling photo of Vick as he proudly signed the loan documents seemed as American as apple pie. But two years later, Vick’s face would be back on the front page of the Star — this time for a less patriotic reason. 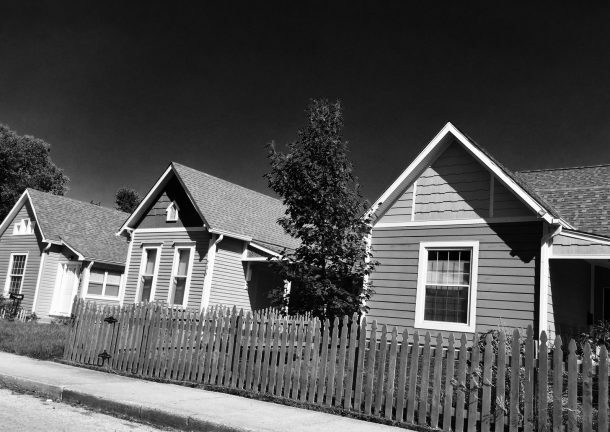 The first house purchased in Indiana with a GI loan was on South Audubon, just a couple of blocks from Irving Circle. The buyer was former Army photographer Raymond C. Vick, who would later become the state leader of the Columbians. Members dressed in brown shirts similar to those worn by Hitler youth, with a shoulder patch bearing the Columbians’ distinctive insignia – a white bolt of lightning in a red circle. The group had been linked with bombings in Atlanta and reportedly had awarded a medal of honor to a member who flogged a black teenager. Although its home base of Georgia was a hotbed of hate in the mid-1940s, the Columbians also saw the Midwest as fertile ground for expansion. Vick was enlisted to recruit new members and establish a headquarters in Indianapolis. In less than three weeks, he reportedly had signed up nearly 4,000 members from the metro area. Within a few short months, Vick had succeeded in spurring the legislature to action. Just not in the direction that he had hoped. The Columbians’ insignia was a red lightning bolt within a circle. 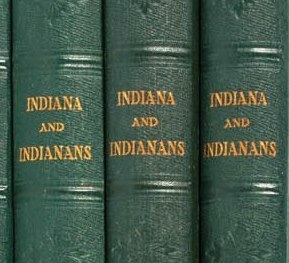 In 1947, the Indiana General Assembly unanimously adopted Senate Bill 59, which made it unlawful to conspire, organize or associate for the purpose of spreading malicious hatred by reason of race, color or religion against any person or persons not alien enemies of the United States. Violators would face up to two years in prison and a $10,000 fine. The so-called “Anti-Hate Law” was aimed at preventing the Ku Klux Klan, the Columbians, and other hate groups from gaining a foothold in Indiana. Republican Gov. Ralph Gates proposed the bill in November 1946 after The Indianapolis Star reported that the Klan was attempting to reestablish itself in Indiana. 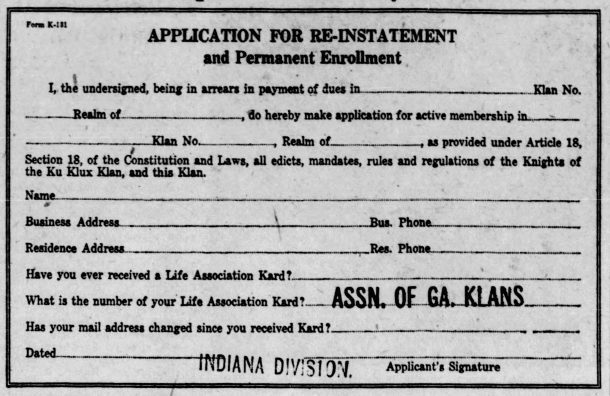 At its peak in the mid-1920s, the Klan had more than 300,000 Hoosier members, as well as control of the Governor’s office, the Indiana General Assembly, and Indianapolis city government. But the Klan’s empire fell apart in 1925 when Grand Dragon D.C. Stephenson was convicted for the murder of Statehouse worker Madge Oberholtzer. 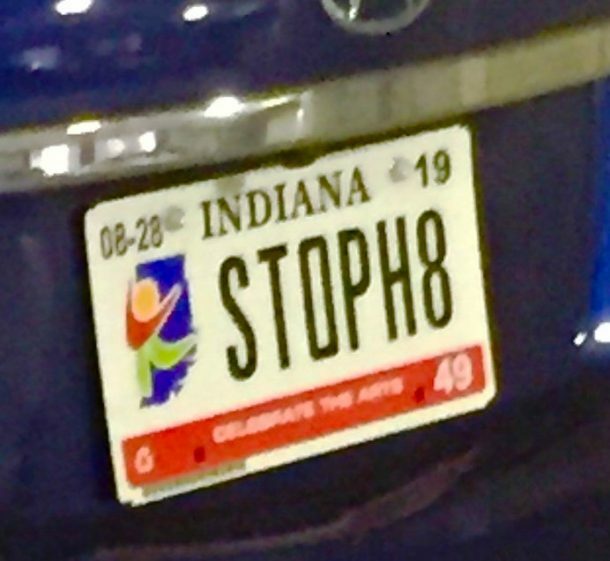 Now, the once-powerful white supremacy organization was trying to reestablish itself in the Hoosier state, with 121,000 applications in process from 60 Indiana counties. According to Indiana King Kleagle Harold Overton, the “new” Klan would eschew white robes but would continue to embrace white supremacy. Basically, Overton said, the Klan would stand for “anything that is strictly American; [and] against anything that is not.” This included a total ban on immigration. The tenets of the Klan violate every fundamental upon which our Constitution was written; every principle upon which our nation and state have grown to greatness. Columbian leader Raymond Vick grew up in a modest cottage on Spruce Street in Fletcher Place. His father was a serial bigamist who left a trail of broken-hearted “wives” across Indiana. His mother – wife #3 – worked as a janitor to support Raymond and his siblings. Three days after the Star reported on the resurgence of the Klan in Indiana, it dropped an even bigger bombshell. On November 11, 1946, the Star revealed that the Columbians, Inc. — the nation’s first neo-Nazi group — was setting up shop in Indianapolis. 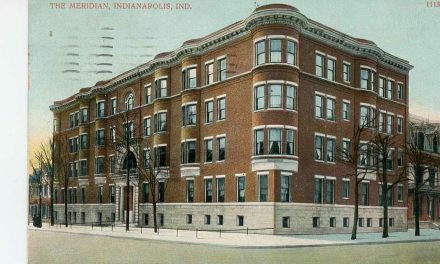 Although the Columbians’ activities were usually shrouded in secrecy, a series of anonymous phone calls to the Star a few weeks later prompted reporters to pay a midnight visit to a dilapidated carriage house at 23rd and College. There, they discovered the fledgling hate group’s state headquarters, along with its leader, Raymond Vick. Vick seemed eager to talk with his visitors. No, the Columbians were not a hate organization, he told the Star, nor was it violent – at least not in Indiana. And the violence in Georgia? That happened because the Columbians were being persecuted, Vick said — or perhaps because the Columbians in Atlanta admitted the “wrong” kind of people. That would not happen in Indiana, Vick insisted. “We’re not going to get the wrong kind of people into our organization,” he said. Vick’s assurances failed to quell the fears of politicians who were already lining up to support the proposed Anti-Hate Law. This was not surprising given the Columbians’ membership criteria, which simply required an applicant to answer “yes” to the following three questions: Do you hate negroes? Do you hate Jews? Do you have $3? 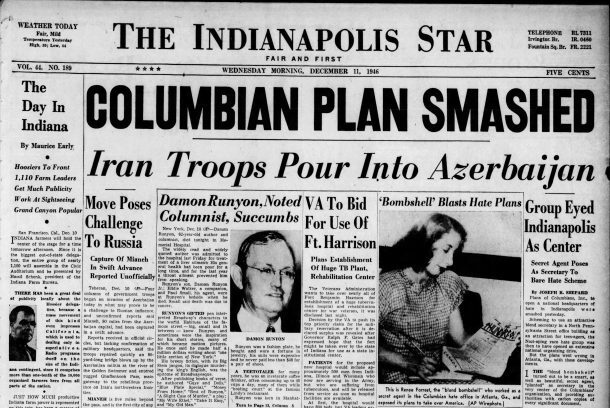 The front page of The Indianapolis Star as it appeared on December 11, 1946. But as luck would have it, Vick’s plans to establish a Columbian stronghold in Indianapolis were already dead in the water. Just a few days before he was outed as state leader of the hate group, the Star dropped another bombshell – literally – onto Vick’s plans. Dubbed the “blond bombshell” by the newspapers, her real name was Renee Forrest, and she was a Jewish matron turned spy who went undercover to unmask the Columbians. Forrest had been recruited by the non-partisan Anti-Fascist League to infiltrate the Columbians in Atlanta. Posing as neo-Nazi fanatic, she contacted the Columbians’ leaders who, according to news reports, “fell hook, line and sinker” for her convincing hate statements. She was hired as their secretary. Using a camera concealed in a fountain pen, Forrest photographed reams of incriminating documents that linked the Columbians to various acts of terror and detailed the group’s plot to expand to Indianapolis. She also befriended two young storm troopers who were becoming increasingly uneasy with the Columbians’ culture of hate and violence. After Forrest gained their confidence, she was able to persuade them to meet with the Anti-Fascist League in New York and spill the beans on the Columbians’ plans. Indictments were swiftly brought against the Columbians’ founders, Homer Loomis and Emory Burke, who according to authorities were seeking to overturn the U.S. government and put in place a Nazi-style regime. In February 1947, both men were convicted of inciting to riot and usurping police powers. Burke subsequently resigned from the Columbians “to spend more time with his family.” By June 1947, Loomis acknowledged that he was the sole remaining member of the group. Despite the demise of the Columbians, the General Assembly forged ahead with passage of the Anti-Hate Law. The Ku Klux Klan was still on the rise in Indiana, along with other fringe groups that traded in hate and bigotry. And issues of race were hitting close to home for many Hoosiers as segregated schools began admitting black students. In September 1947, the new law was used for the first time in Gary when police arrested Joel Eddy for inciting students to strike at Emerson School in protest over the admission of black students. The following year, the Anti-Hate Law was invoked in Indianapolis in a desegregation case brought by the NAACP. It was also used in a ballot challenge to the segregationist Dixiecrat Party. 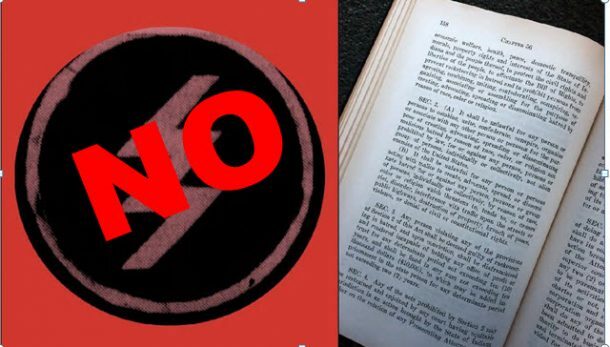 The Anti-Hate Law fell into relative obscurity during the 1950s, but was pulled of the shelf sporadically in the mid-1960s in efforts to block the Klan and neo-Nazi groups from holding rallies and distributing pamphlets. But by then, questions were beginning to arise the law’s constitutionality. In 1965, a South Bend court dismissed charges against an organizer of the American Nazi Party who was accused of violating the Anti-Hate Law. According to the court, the law was unconstitutionally vague. Then in 1977 – after 30 years on the books — the Anti-Hate Law was quietly repealed as part of a massive revision of the state criminal code. Libby Cierzniak is a partner at Faegre, Baker & Daniels, LLP, practicing primarily in the area of government affairs. 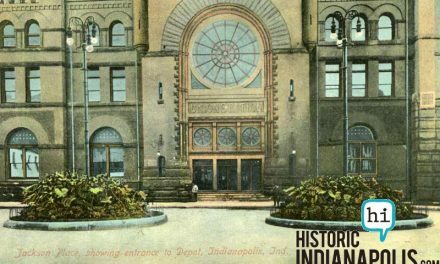 A native of Kokomo, she became fascinated with historic preservation and Indianapolis history in the 1990s while working in the newly renovated Statehouse. 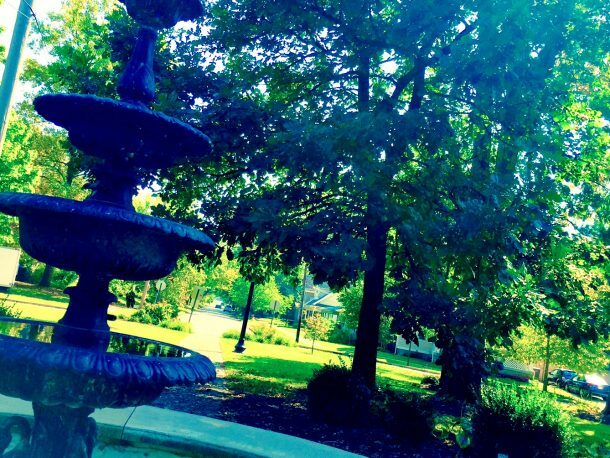 She's an avid collector of "old Indianapolis"--books, photographs, advertising and other items--and loves to research and share information with others about the city's rich and colorful history. Libby, her husband and their two chronically misbehaving dogs live in an 1894 home in the Old Northside, where she serves on the board of the neighborhood association. Thanks for the interesting story! 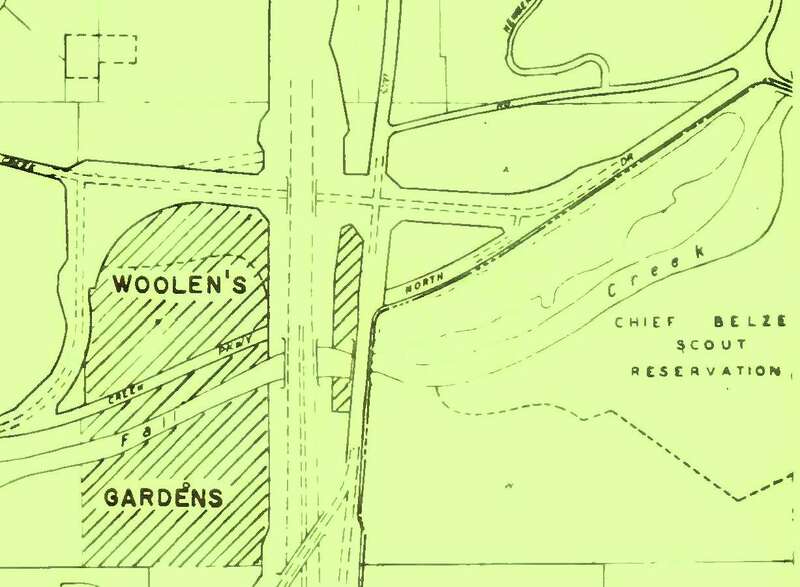 Small suggested correction: the photo of Spruce St appears to be the northeast corner of Spruce St and Woodlawn Ave in Fountain Square, not Fletcher Place. Spruce St doesn’t run through Fletcher Place.